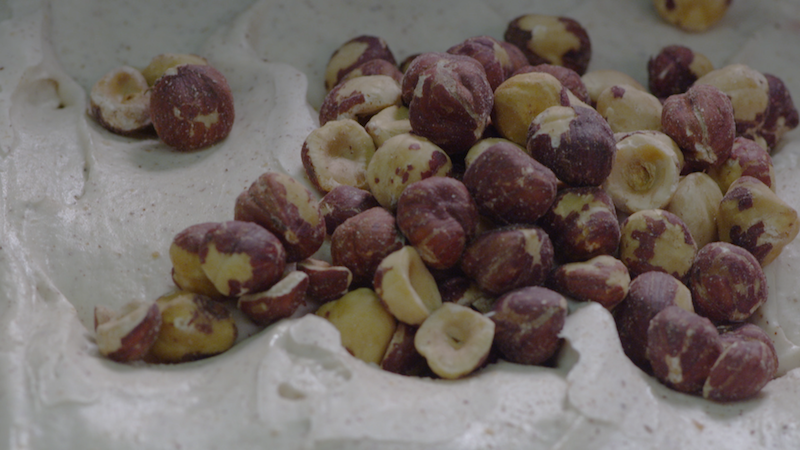 NOCCIOLA – Oregon hazelnuts are among the best in the world. We roast them to bring out the pleasantly nutty taste. A classic flavor in European pastries. 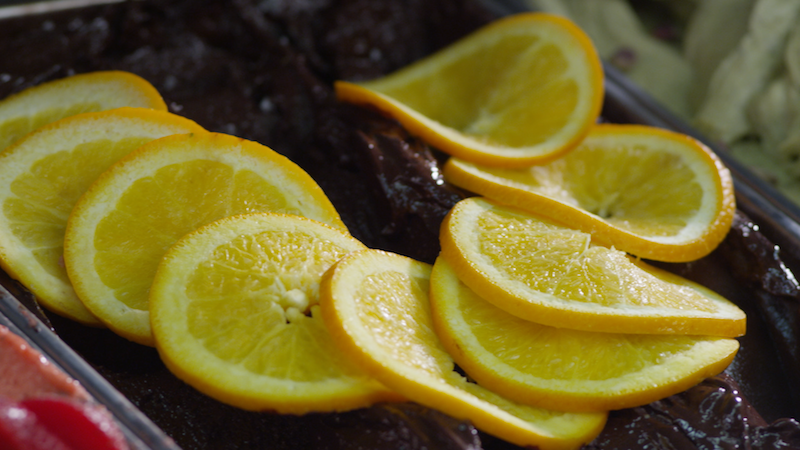 CIOCCOLATO ALL’ARANCIO – Tangy, ripe, oranges, combined with our signature smoky, dark chocolate, produce a rich, festive flavor. A customer favorite! KONA COFFEE– These beans are sourced from the hills of Kona. Watch our video in Hawaii to see where the coffee beans are sourced. 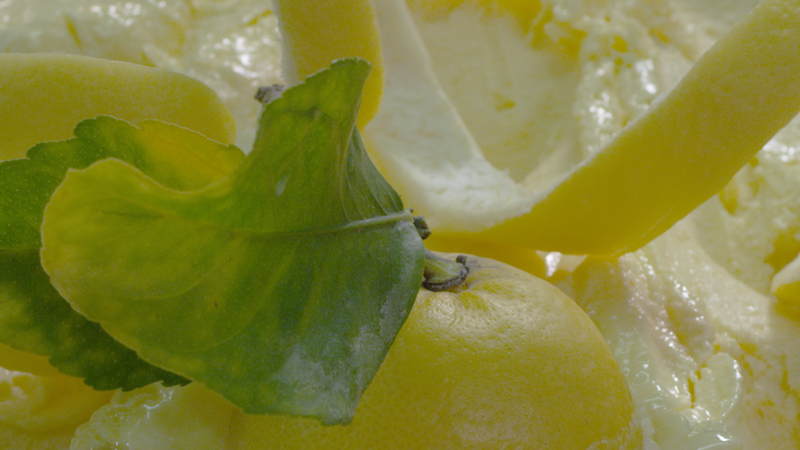 LIMONE Gelato – Sun kissed lemons from the California San Joaquin Valley – pleasantly tangy, but not overly tart. Especially refreshing on a hot day. 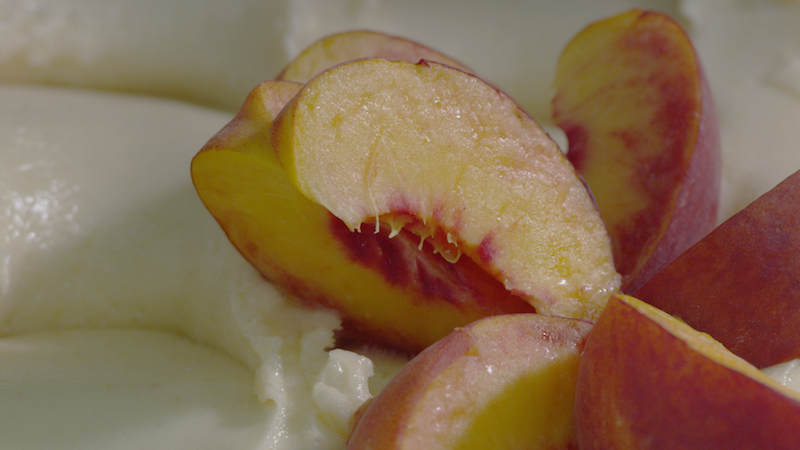 PESCA SORBETTO – made from peaches grown in the California Central Valley plucked at height of ripeness – sweet, juicy, so creamy you forget there is no milk! 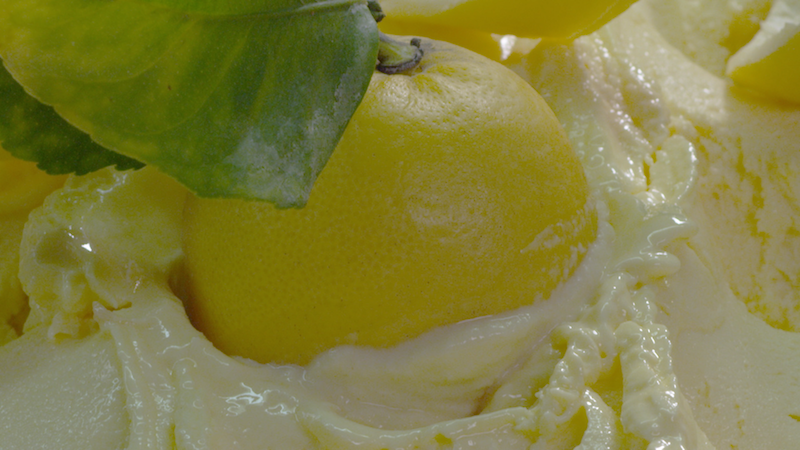 LIMONE GRANITA – Sun kissed lemons from the California San Joaquin Valley – pleasantly tangy, but not overly tart. Especially refreshing on a hot day. MANDORLA – Sicilian almonds, grown in volcanic soil. We roast them, releasing their strong, pure, floral notes, then puree them and turn them into smooth, creamy goodness! 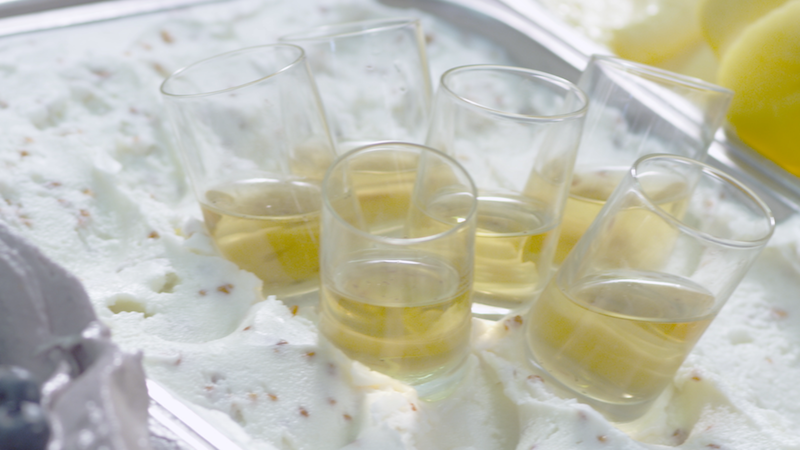 TEA GELATO – Our tea gelato is steeped with Green tea and Jasmine Tea. Then we add roasted rice to pair with Japanese sake. These are pears that when cutting, have a lovely Rose flavour to it. So the trick is to infuse Pink Rose Petals overnight. CIOCCOLATO SORBETTO – Luscious, dark and dreamy. All the chocolate goodness without the dairy. 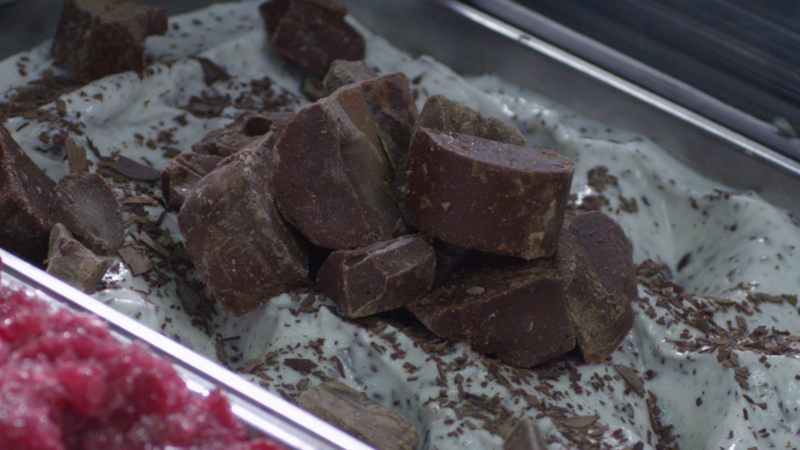 Our chocolate sorbetto is made from Valrhona dark chocolate and delivers an intense chocolate experience. 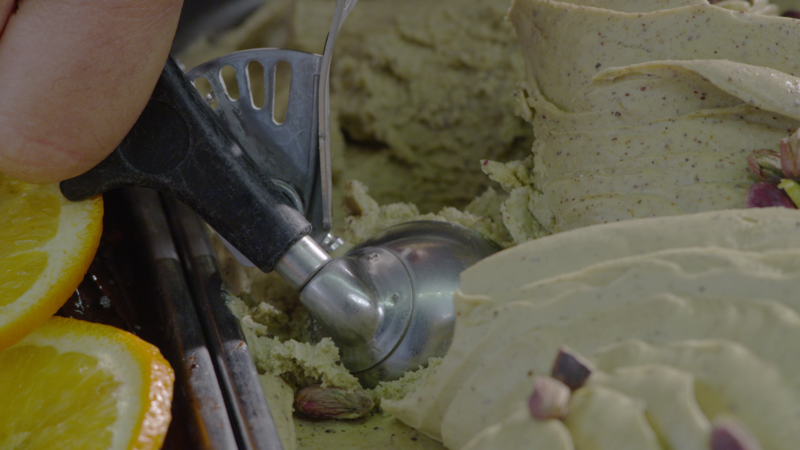 GELATO DI PECORA – Our sheep’s milk gelato is rich and buttery, with a flavour of sweet herbs. NOCE (WALNUT) – We use walnuts from California’s Central Valley. They have complex and tangy notes, with a wonderfully nutty flavour. Walnuts pair beautifully with a variety of flavours – from bananas to Madeira wine. 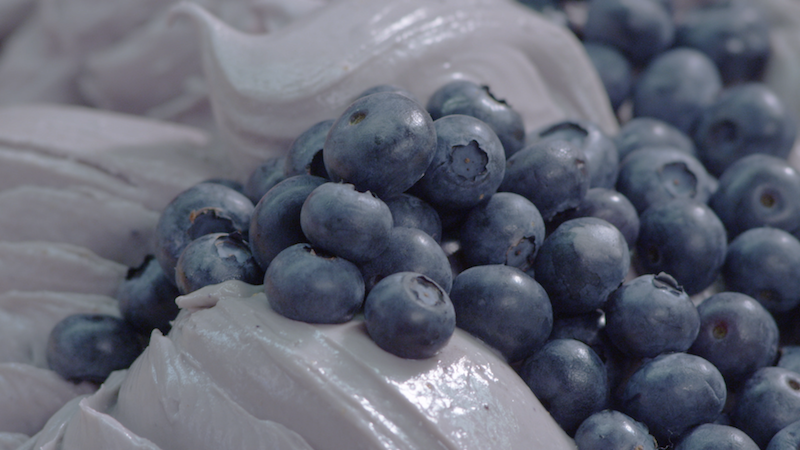 SUSINA SORBETTO – Our Santa Rosa plum variety, grown in the Central Valley, is deep, rich and full of flavour, with a hint of tartness which we extract from the skins. PERA SORBETTO – Delectable Williams (Bartlett) Pears from Lake County, CA. 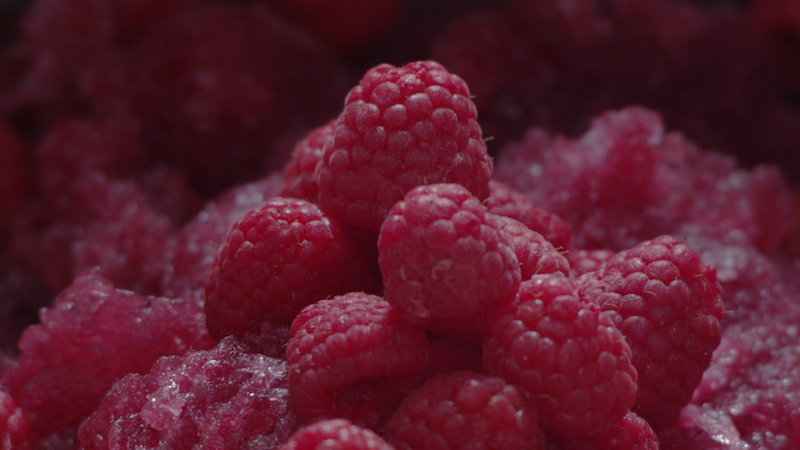 You can taste the succulent fruit – sweet, buttery and musky. 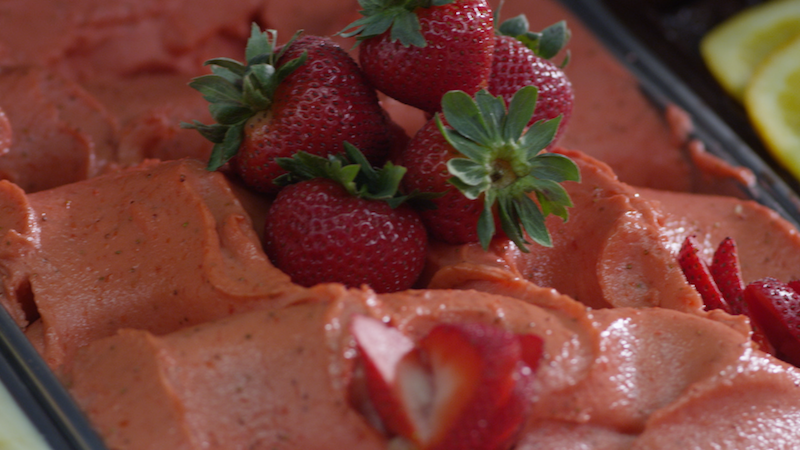 Try it with chocolate in a torta di gelato – sublime! CAFFE GRANITA – We use a proprietary blend of Arabica, Kona and Colombia and hand pull the espresso to create a strong, authentic granita. Best eaten with freshly whipped cream! TIRAMISU – based on the popular dessert, this gelato is mascarpone, combined with Italian espresso and Vestri cocoa from Firenze. Pure decadence in every bite. MACADAMIA – We source our nuts in Hawaii from small producers. We roast and grind them in house, bringing out the buttery sweetness with a touch of natural saltiness. Creamy and addictive! ARANCIA ROSSA GRANITA – a customer favorite! We use California blood oranges from the Central Valley, squeeze them and turn them into a beautiful, red, slushy treat. MELOGRANO GRANITA – fresh, ripe, dark pomegranates from the Central Valley – this exotic fruit will bring you to the gardens of the Orient. a deep, rich, sweet flavour, balanced with acidity. 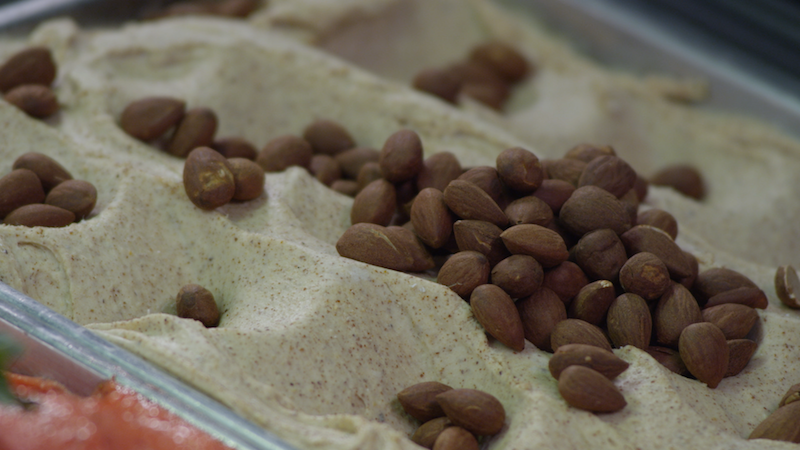 MANDORLA GRANITA – Sicilian almonds, grown in volcanic soil. We roast and chop them, releasing their floral notes, The granitais slightly crunchy and refreshing on a hot day. 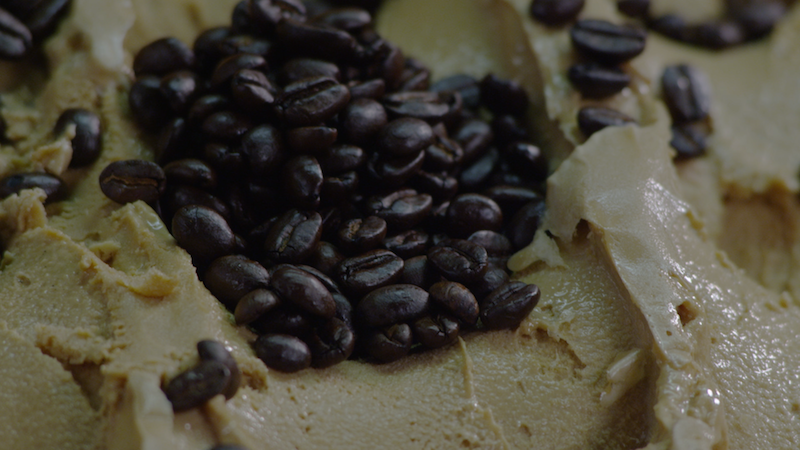 CREMA DI CAFFE – our luxurious custard gelato with hand pulled espresso. CIOCCOLATO DI FIRENZE AL SALE – sweet and savory all rolled into one. Our milk chocolate from an artisan producer in Florence originates in the Dominican Republic. The chocolate is earthy and acidic, with light sweetness. The complexity is enhanced with sea salt. YOGURT AL SALE E OLIO – a savory flavour made with organic full fat yogurt, a touch of celtic salt and Italian extra virgin olive oil.